Robert Sheen is Founder and President of First Capitol Consulting, Inc., which advises employers nationwide on issues related to the Affordable Care Act. He is also Editor-in-Chief of The ACA Times. 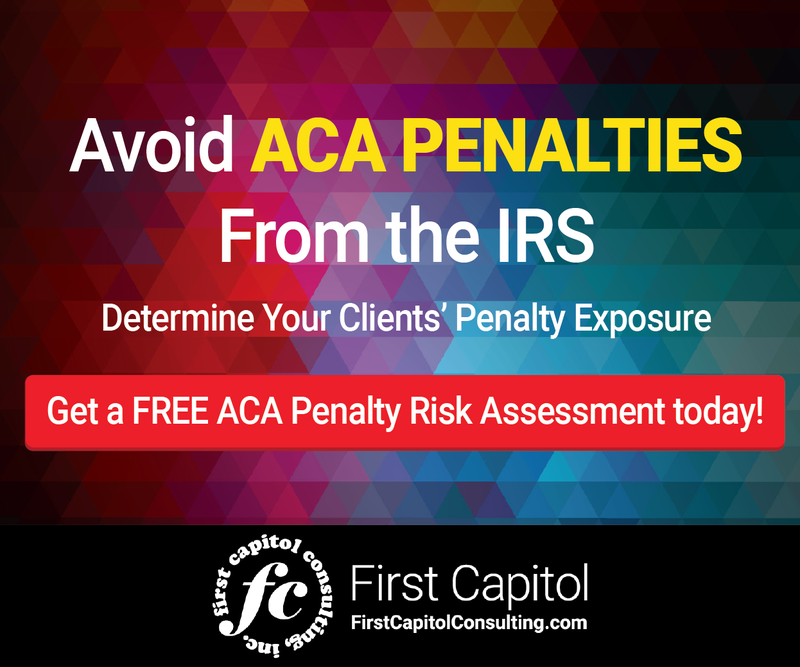 You and your employees have probably heard about the tax penalties under the Affordable Care Act. Starting in 2014, the “Individual Mandate” of ACA requires everyone in the United States get health coverage or pay a penalty. For 2014 that penalty (technically an excise tax) is typically $95 for each person in a household. 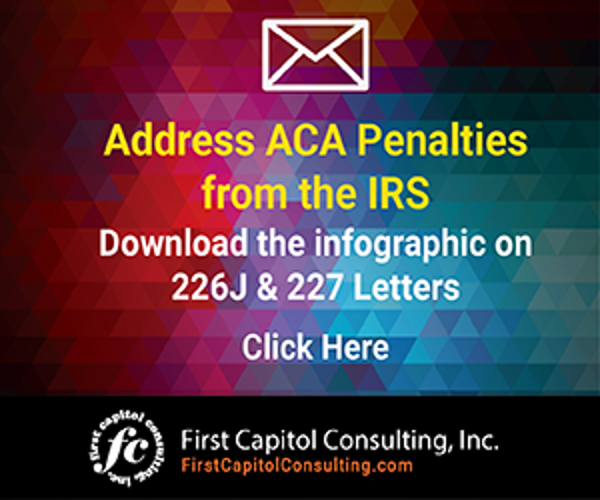 So, if your employee has a spouse and two kids who are not covered by a company or individual insurance plan, he or she will have to pay a tax penalty of nearly $300 for those three uninsured family members. That penalty goes up every year; it more than triples for 2015, and increases by six times for 2016. What are an employee’s healthcare options? Typically, there is the company’s healthcare plan. The employee can also choose coverage through a Healthcare Exchange. Depending on whether the company healthcare plan fails to meet certain requirements for affordability and minimum value, the employee may also be eligible for a subsidy to help pay for healthcare coverage bought through an Exchange. In addition, your employees and their family members may also be eligible for Medicaid, CHIP (for children), TRICARE and/or Veterans Care. Health plans in the individual or group market, including those through the Exchange, as well as coverage under Medicaid and CHIP, must include coverage for 10 “Essential Health Benefits.” These are: doctor visits; emergency services such as emergency room services; hospitalization; maternity and newborn care; mental health; prescription drugs; rehabilitation services and devices, to help you recover from injury or disability; lab services; preventative and well-being services; and pediatrics, or medical services for kids. As your employees evaluate their various options for healthcare coverage, they need to consider what they will have to pay for each available option, and how the benefits compare. It’s important for them to consider all of the costs – not just the most visible part, which is the monthly premium, but other costs as well. The “deductible” is what each of us has to pay first, before the insurance company will pay for medical services. It’s important to note that health insurance deductibles are on an annual basis (rather than, say, for each illness or accident), which means that once we pay the deductible for the year, we are done. Two other important parts of total healthcare cost are “co-pay” and “coinsurance.” Co-pay is what we pay every time we visit a doctor’s office. For example, your plan might require a $25 co-pay every time you go visit your doctor. “Co-insurance” is similar to a co-pay, but is a percentage rather than a fixed dollar amount. So, if your plan has 20% co-insurance and the cost for a medical service is $100, you pay $20. Another part of the healthcare cost total is “out of pocket costs.” If you receive medical services that are not covered by your insurance plan, you are responsible for paying for those services out of your own pocket, with no help from insurance. When looking at available healthcare options, your employees should compare the total costs for each – including premiums, deductibles, co-pays, co-insurance and out-of-pocket costs. Another item your employees must consider is the enrollment window. Typically, a company healthcare plan specifies a window of time when employees can enroll in the plan. Similarly, the Exchanges have specific periods during the year to sign up. Only Medicaid has no open enrollment window; those who qualify for Medicaid can enroll at any time. Your company may offer healthcare coverage not just for your employees but for their families as well – typically at a higher monthly premium for the whole family than for just the employee. Many companies will pay a portion of the monthly premium for individual or family coverage, and the employee will pay the remainder – for example, your company may pay 40%, with your employees paying the remaining 60%. What does that mean to your costs and theirs? Let’s say the premium for employee-only coverage is $300 per month, while for family coverage it is $800 per month, and the company contributes 40%. For individual-only coverage, your employee will pay a monthly premium of $180 (60% of $300), while for family coverage their portion will be $480 (60% of $800). Your company pays the balance. Remember, premiums are only part of total healthcare costs. Here are examples of other costs: $25 co-pay for each visit to a doctor; $10 co-pay for every prescription drug; 20% co-insurance for lab work. A trip to the emergency room might cost $150 plus 20% of the total bill for the emergency room service. As you see, the costs can rise quickly. Above we briefly mentioned coverage through an Exchange. An exchange is a government-run marketplace where consumers can buy health insurance for themselves and their families, selecting from plans offered by a number of health insurance companies. The cost of exchange plans will vary based on the benefits offered. There are Bronze, Silver, Gold and Platinum plans. The higher the metal level, the more expensive the monthly premium, but the greater the benefits. Bronze level plans pay 60% of covered expenses, while Silver plans pay 70%, Gold plans pay 80% and Platinum plans pay 90%. The consumer pays the balance: 40% of expenses for Bronze plans, and only 10% for Platinum plans. Anyone can buy health coverage from an exchange. Costs will depend on the metal level of a plan as well as the consumer’s age and where he or she lives. Coverage through an exchange may cost your employee less than your company’s health plan. Another potential healthcare option is Medicaid. A government program, Medicaid pays for comprehensive health care benefits at low or no cost – no premiums, and much lower or no co-pays, deductibles, etc. Many states have expanded Medicaid eligibility so individuals with higher incomes qualify, and assets are no longer a criterion for eligibility. If your state has expanded Medicaid, the program may be a cost-effective option for your employees to consider. Another government health program is CHIP, the Children’s Healthcare Insurance Program, which is basically Medicaid for kids. Income limits for CHIP are higher than for Medicaid for adults. So even if the father and/or mother do not qualify for Medicaid because their income is too high, the child may still qualify for CHIP. Similarly, employees covered under your company’s health plan may still be able to enroll their kids in CHIP. Some of your employees may be veterans or the spouse of a veteran, and qualify for VA or TRICARE coverage, which offers benefits with no or low deductibles and co-pays. How much will I pay if I enroll my family on the company healthcare plan? How much will pay if I enroll my family on an exchange plan? If my spouse and/or I qualify, how much will I pay to enroll myself and/or my spouse in Medicaid? If my children qualify for CHIP, how much will I pay to enroll them? How much will I pay in tax penalties for not having healthcare insurance? What kind of healthcare benefits do I get with each option? How do I compare the different plan options?